One night. One big mistake. One boy that changes everything. Britte Nichols has a plan. And it's a good one. College. Med School. Illustrious career. Then maybe a husband. Possibly children, but she doesn't want to get ahead of herself. Britte decided at a young age that she wasn't going to let love get in the way of her future. She has things to do. Places to go and all that. Until the night she has one too many drinks and lets lust override logic. Beckett Harris is gorgeous, talented, and completely bad for her. But she wasn't the only one feeling fireworks that night. Now Beckett wants to explore their chemistry and his timing couldn't be more inconvenient. Her heart wants what her head knows she can't have. But a girl has needs. So when Beckett bets her a few weeks of harmless fun, she wants to say yes. She'll just have to bet that Beckett doesn't fall for her, too. 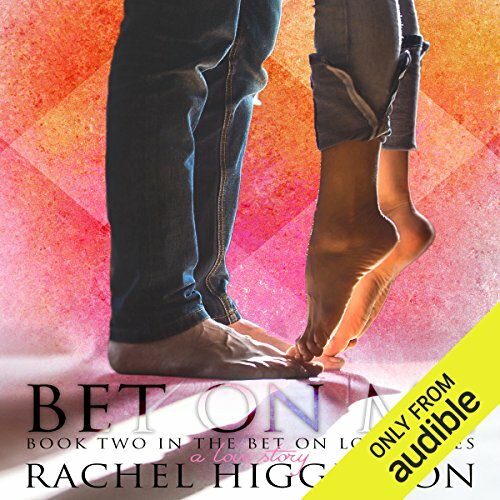 ©2016 Rachel Higginson (P)2016 Audible, Inc.
narration didnt do it for me. I really don't like books where a female reads the male roles I'd rather have to narrators.